A crisis hotline for transgender people has expanded to Canada, offering counselling from transgender volunteers. 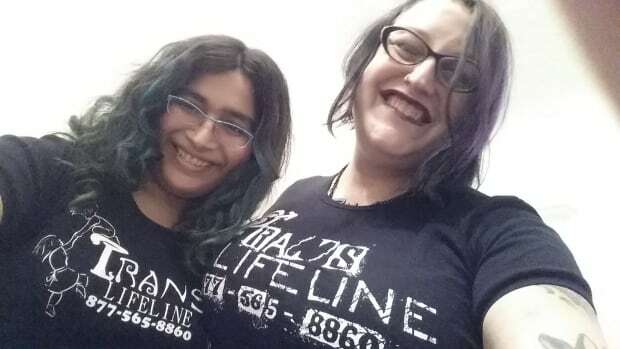 Trans Lifeline was launched in San Francisco by Greta Martela, who is a transgender woman. She told Rick Cluff of CBC Radio Vancouver's The Early Edition the idea began while she was working for another non-profit organization. "We were just a social organization, but we did have a 1-800 number and I would get calls from all over the country for people who were in crisis," she said. "The fact that that phone number would be the best choice for anyone — I found really upsetting." The hotline had a soft launch in the U.S. in September, with its official launch on the Transgender Day of Remembrance on November 20. Martela was approached by Toronto-based transgender activist Sophia Banks, who asked what it would take for the service to expand to Canada. "We looked into it, and it didn't look like it would require much, so we went ahead and did it." The Canadian number has been active for about two weeks, and in that time Martela said it has received more than 100 calls. The service is run by volunteers, all of whom are trans-identified. "It's hard for somebody who is not trans to understand all of the things that transgender people go through," said Martela. She said the nature of the calls are different from those that would normally be received on another crisis line. "One of the things that's different about what trans people are having is that a lot of times they're external," she said. "If we were a traditional suicide hotline, you'd be seeing things like the end of a relationship or a mental health crisis triggering the call. For us, a lot of the time it's concrete things — somebody is being harassed at work or … they're having trouble accessing health care." In the month of December operators talked to people calling both the Canadian and U.S. lines for a total of 672 hours. Martela says there has been no shortage of volunteers. "We're having the opposite problem. We can't train our volunteers as quickly as they're volunteering. We've got at the moment about 70 trained operators, but we have something like 400 operators waiting to be trained," Martela said. "2014 was a wonderful year for trans rights, but it's still pretty hard to be a trans person really no matter where you are. It seems like societal acceptance is slowly coming, but it's slow." To reach the Trans Lifeline toll-free from anywhere in Canada, dial 1-877-330-6366.